Rogue Women Writers: DO YOU HAVE A SECRET DESIRE TO WRITE SUSPENSE? Rogues left to right: Chris, Gayle, KJ, Jamie, S Lee, Sonja, & Francine. For some reason Karna was AWOL. Have you considered writing a suspense novel? Since five of us Rogue Women are attending ThrillerFest this week in New York City (more about that later), here’s a taste of one of the most popular programs — CraftFest, where a Who’s Who of authors gathers once a year to teach writing. We love it, and are gratified to see many of our students go on to publish fine books. One way I like to think of suspense is that it’s a hunger to find out what’s going to happen next. In a good suspense novel, you’re so entertained that even though the suspense is keeping you up at night, you want to read on and on. You’ve heard the phrase, “I was dying of suspense.” We want our readers to pant, to salivate, to hunger, to hardly be able to stand it. They must find out what happens right up to the very last page, the last paragraph, the last sentence, the last ... (are you waiting to find out whether I’m going to say “the last word” or surprise you with something else? That waiting and wanting to know is called, well, suspense — right up to the very last period). The need for suspense is embedded in all fiction, everything from mainstream novels to Westerns, from romances to thrillers. It’s a classic tool. Think of Beowulf, King Lear, or one of Dickens’s great novels. All through the ages, readers have wanted stories in which they feel compelled to keep reading. So how do we infuse our books with suspense? Briefly, “story” refers to the idea of the book. For instance, two scientists are kidnapped and held for ransom in exchange for a secret bioformula they’ve created. Here’s another idea: private jets are exploded in major airports around the world within seconds of each other to protest carbon-based fuels. Would you get really excited if a beat-up paperback of a poor-quality novel were stolen from a used-book store? Probably not. But if that book were an illuminated manuscript missing for centuries, and if it were covered in hammered gold and sparkling gems, and if it were worth a half million dollars ... then you’d likely want to know about the people who'd had it all those years and the places it’d been hidden, and then you’d probably want the heroes of the story to find it so you could know where and in whose hands it ended up. Again, that desire on the part of the reader is called suspense. By the way, I wrote that story in The Book of Spies. To create great suspense, the stakes in any story have to be worth fighting great odds to achieve. Here’s an example: Uncovering terrorist financing is always interesting, but it becomes even more interesting if the financing is to fund destroying the House of Parliament in London. Now you’ve just ratcheted up the suspense. Can the heroes stop the villains from getting the money to blow up Whitehall? Your characters must have something about them with which the reader can identify, and that applies to both heroes and villains. Why? When we identify with a character, we more strongly want them to succeed — or fail. In other words, we become more invested not only in the characters but in the story and plot. As the author, how do you find those depths? You can begin by asking yourself what each character fears most, what the greatest strength of each is, what each wants to achieve in the story, and, finally, what each is willing to risk to get it. Beginning writers often overlook the importance of their villains. Villains are critical because they drive the plot. Without a great villain, you can’t have great conflict. Without a great villain, you can’t have a great hero. But with a great protagonist facing off against a great antagonist, your suspense will soar. If you’ve been thinking about writing, wanting to learn, but unsure how to begin, I always suggest what many of us did — we took writing classes, often from adult education. We read books about writing. We met people who shared our dreams of writing and publishing, and we talked with them, brainstormed, and often read their work while they read ours. The years are going to pass anyway, how much more rewarding it is to spend some of that time pursuing your dreams. If you’re in suspense about whether you’re going to do it, take classes, then come to CraftFest at ThrillerFest. We'd enjoy meeting you! Check it out here. Oh Gayle, what a great "primer" for aspiring writers - these pointers on writing suspense are often covered in the great workshops you conduct at Thrillerfest -- I know because I've attended many of them to listen and learn more about our craft. (By the way, I was AWOL when that photo of the top was taken of our Rogue group because I happened to be in a meeting, but was so glad that the 8 of us had a chance to appear at a panel that year at, yes, a Thrillerfest conference.) Now I hope that many writers will sign up for Craft-Fest at this year's gathering at the Grand Hyatt this week -- always the best writers' conference ever. Oh, Gayle, what a great "primer" for aspiring writers (along with published authors as well). I recall attending many of your great workshops at our Thrillerfest conferences where you gave SO much helpful advice to all of us! Thanks for these reminders. (By the way, I had to slip out to a meeting when that photo was taken - above - but was happy that the 8 of us Rogue writers joined together at a panel discussion at our Thrillerfest conference last year). Great post. The villain drives the plot! Watch any movie from The Third Man to Alfred Hitchcock to James Bond to find out how much thrillers and suspense stories depend on that premise. 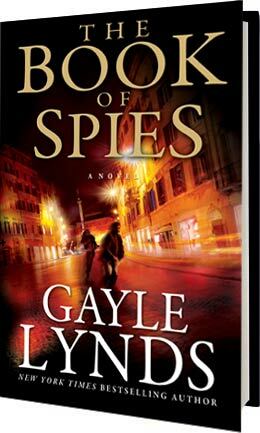 Gayle, I loved your class last year, and I'm so sad I'm not able to joint the excitement at this year's ThrillerFest! Also, I've never heard such a clear description of story vs plot. You're a natural teacher!